New Delhi, Dec 8 (IANS) Emotions speak louder than words! Google India’s crossborder friendship ad or jewellery brand Tanishq’s latest commercial about second marriage are cases in point – these few seconds-long human stories are not only touching hearts and minds of all age groups but indicate how corporate social responsibility (CSR) has evolved. Thanks to the changing times, the Rs.36,200 crore ($6 billion) Indian advertising industry is using emotions to make the right connect with the consumers. 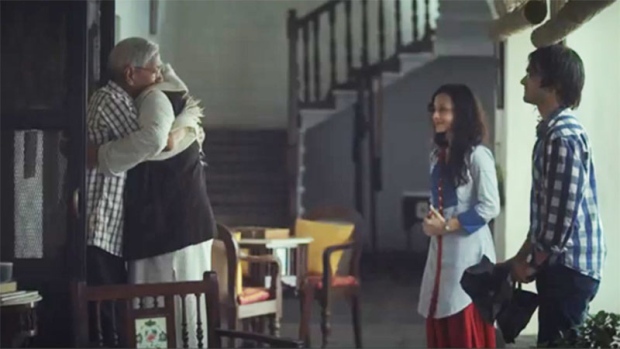 Google India’s latest ad is a shining example of touching human sentiments. It shows the coming together of two friends who got separated during the 1947 partition of the Indian sub-continent: how the granddaughter of the elderly person in India traces the whereabouts of her grandfather’s friend using the Google search engine and reunites them. According to TV actor Rohit Roy, it is the “best ad in recent times”. “We are selling out to flash and show, and they took us back to the real thing – emotions,” Rohit posted on Twitter. Emotions are the new rational, says Ronita Mitra, senior vice president, Brand and Consumer Insights, Vodafone India, whose new ad chronicles how a girl uses social networking platforms to share feelings and becomes an “open book”. “Touching human emotions is not a new trend in the advertising world as since time immemorial brands have narrated stories which try to hit the mind as well as the heart of our consumers. “We are in an era where product differentiation is reducing; so the only way to create differentiation is by giving your brand a personality (emotions) that resonates with consumers,” Mitra told IANS. For instance, jewellery brand Tanishq’s latest ad depicts a dusky bride entering a second marriage in the presence of her daughter. The ad speaks volumes on the subject of second marriage, subtly and crisply, in precisely 90 seconds. 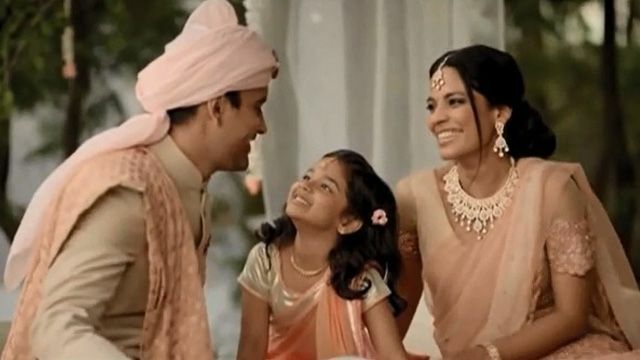 Bringing emotional connect will make brands stand out, feels Priyanka Bose, who plays the bride in the ad. “Connecting to the youth with the storyline is the only way ads will work because jingles and other things won’t present the right picture. Digitally, everything is expanding so much that if you really want to make a connection with wider audience, touching the emotions is the only way to do it,” Bose told IANS. Also, good advertisements can facilitate social change, she believed. “We can’t just emphasize only on the brand and the product. We need to feel how India is not only expanding economically but also changing in the social sense. Whatever small difference you can make in people’s lives can have a long-lasting effect. Ads can play a key role in changing society,” she added. The collaboration between Jaago Re, a social awakening group, and Tata Tea proves her point. Keeping up with the humour and cultural sentiments, Indian commercials are providing an insight to an average Indian’s life. Airtel’s “Har ek friend zaroori hota hai” was an instant hit amongst people of all age groups. Another campaign of the brand was – “Barriers break when people talk”, which was a beautiful portrayal of two children from different countries crossing the barbed wires of their nations’ boundary to play together. Life insurance company ICICI Prudential’s “Bande achhe hain” latest TV commercial pays a tribute to men. The commercial stands out from its earlier campaigns, which have essentially focussed on the product’s features. The ad features men in various stages of family life. Watching it on the screen leaves people with a smile and a reminder of what they may have gone through at some stage of their own lives. Ad agencies are welcoming the change. “Times have changed and so have people and their perceptions. Talking about recent ads like ‘Tanishq – Remarriage’ or ‘Vodafone – Relationship’, they have not just showcased change, but they portray a situation wherein women’s freedom and empowerment have been highlighted, which itself is a big thing,” Omm Dev Sharma, creative director of ad agency Maverick Innovations, told IANS. “These advertisements narrate a true story, inspired by our own lives around us, and, yes, the driving force behind such drastic change is undoubtedly our future generations, the youth, who are giving way to a new dimension of life, happiness and emotions,” he added. Laugh on, cry and smile – the latest mantra of the ad world.